Two-thirds of cancer patients receive radiation therapy alone or in combination with other treatments like chemotherapy or surgery. The University Hospitals (UH) Seidman Cancer Center at Salem Regional Medical Center's Radiation Therapy department combines expert care with powerful, highly sophisticated radiation treatment to help area residents in their fight against cancer. Board-certified radiation oncologists William Demas, M.D., and Michael Seider, M.D., work in partnership with highly trained therapists to deliver precise, tumor-targeting treatment using the latest technology. Call the Radiation Therapy department at 330-332-7360. 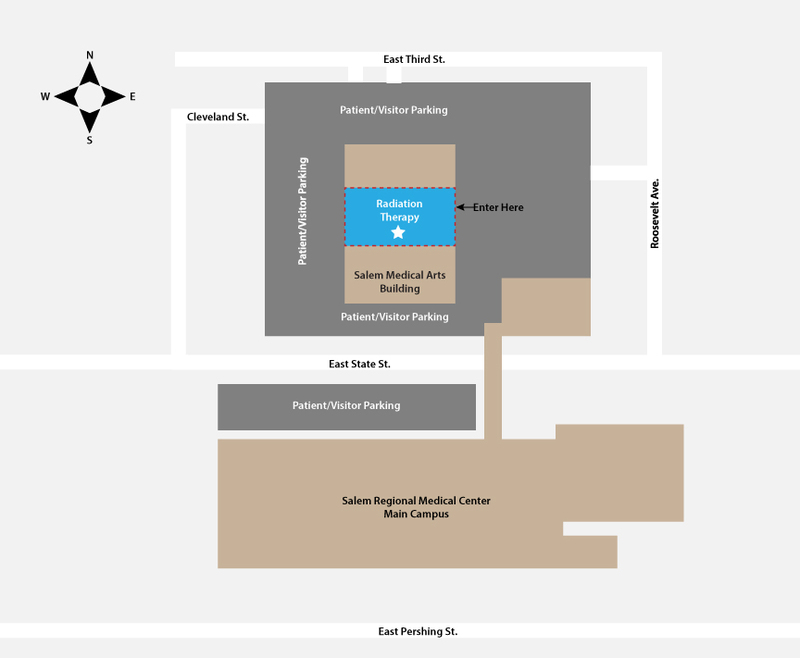 The Radiation Therapy department is located across the street from Salem Regional Medical Center's main campus in Suite A of the Salem Medical Arts Development, 2020 East State Street in Salem. Click here for directions.